1-minute keto muffins are fluffy and versatile, and depending on what you’re in the mood for, it can be sweet or savoury. There are 5 flavour variations (see below). Which one will be your favourite? If you are new to low-carb, these are an absolute lifesaver. Sweet or savoury, 1-minute keto muffins have got you covered. 1-minute keto muffins are my latest go-to recipe. They only require 4 ingredients and are ready in uh-um … 1 minute. Not only that, I have been experimenting with them by adding other ingredients to make them sweet or savoury (see below). They can replace bread, bagels, muffins and even cupcakes. The possibilities are almost endless. These super fast 1-minute keto muffins have quickly become an absolute staple in our house. We keep on dreaming up new variations. The fact that they are keto, is an absolute bonus. Technically, I should call these 45-second muffins, as my microwave is 1220W. You may need to adjust cooking times according to your microwave. There is also an alternative coking method in the recipe if you don’t have a microwave. Once the 1-minute keto muffins are cooked, you can eat them as they are or you can toast them. I gave my toaster away 3 years ago, so I lightly fry them in the frying pan when I am making a big breakfast. But my favourite way is to eat them hot with lashings of butter. Or for a decadent treat, why not add some homemade sugar-free Nutella to top them off. Watch out however, they could become addictive. They would also be a quick and tasty idea for easy keto casserole dumplings. 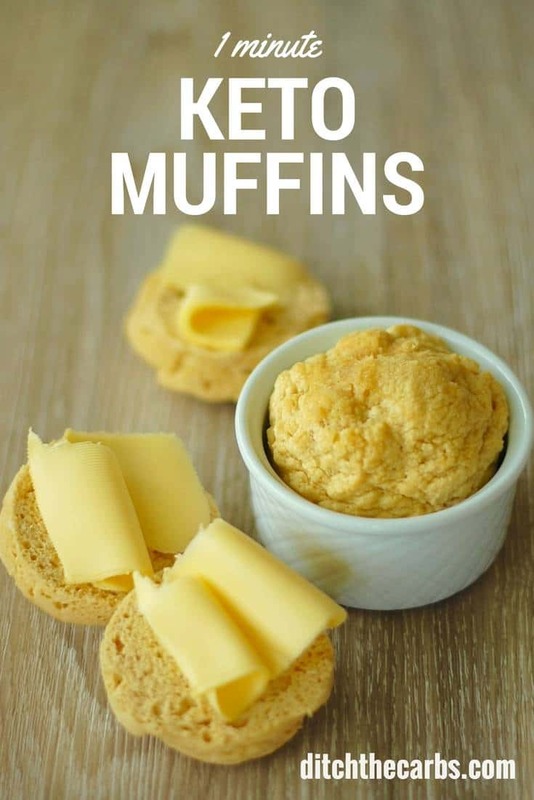 Simply prepare the 1-minute keto muffins as per recipe, then cut them in half and pop them top of any casserole, maybe even sprinkle the casserole and dumplings with cheese before putting the lid back on. How amazing would that be? If it is a lamb casserole, I would add 1tsp dried or fresh rosemary to each muffin mix. RECIPE UPDATE: Readers have a love/hate relationship with this recipe. I have discovered this is because coconut flour quality varies so much. So 1 tsp of one coconut flour brand may be equivalent to 1 tbsp of another coconut flour brand – hence the variations we have seen in the comments below. This is the only drawback of using these new unprocessed ingredients, they aren’t as standardised as the ultra-processed and high-carb baking ingredients out there. 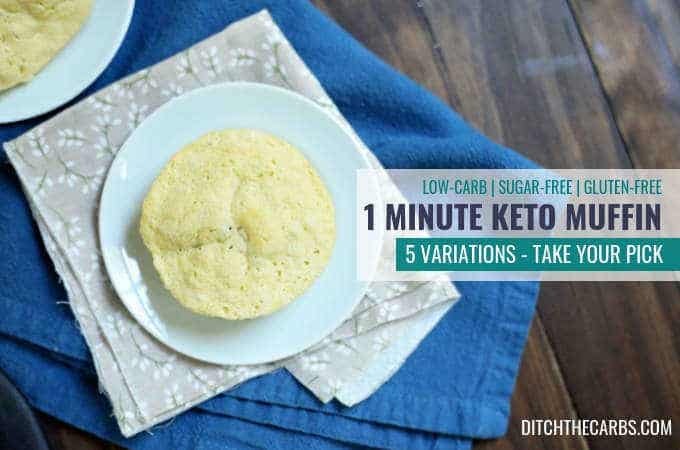 The perfect quick keto bread is this 1-minute keto muffin. Grain free little snacks that can be made both sweet OR savoury depending on which flavours you decide to add. Grease a ramekin dish (or very large coffee mug) with coconut oil or butter. Mix all the ingredients together with a fork to ensure it is lump free. 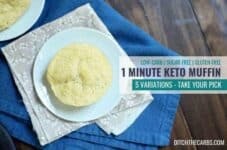 Cook the 1-minute keto muffin in the microwave on HIGH for 45 seconds - 1 minute. Alternatively, they can be baked in an oven, at 200C/400F for 12 minutes. Havent tried this yet, but just wondering if these keep well, and how to store them if I’d like to make a batch? I avoid using my microwave much, so if there’s a way I can make a batch in my oven and have biscuits for a few days, that would be ideal. I would make these fresh as you need them, that’s why they were developed, as a quick and easy solution for a yummy 1-minute muffin. If you wanted to make a batch in the oven, I would actually make another recipe. Almond flour bread is wonderful for sandwiches and toast, or low-carb cupcakes for a sweet treat. I make these but they were called cup breads by another person on the Internet. put the butter in a cup in the microwave for 30 seconds to melt add your almond powder baking powder egg and anything else you want to it that has no carbs. I have done sugar-free chocolate chips and sugar-free brown sugar to make a chocolate chip giant cookie. I have also added cinnamon and sweetener. I’ve also had it plain and toasted and they’re giant and delicious and sometimes you get three whole slices out of one depending on the cup you use. I used a tablespoon of coconut flour. Also I added a tablespoon of artificial powdered sweetener and a fourth teaspoon of cinnamon. Then served with butter. Very good with a fried egg on top of it, when serving. Almond flour that I found had less carbs than the coconut flour so I went with that. Used generous packed teaspoons and half a packet of stevia. Next time I would use a whole packet of sweetener, but they were great! I can see making for breakfast for friends who will load with jam or jelly as I literally drool, but that’s ok! I tried this just plain, but un-toasted, and next time will try with butter, toasted. I do miss my bread. And pasta. And… But this helps! Coconut flour has less net carbs so just check which country of origin your brands are from. US shows total, AUS, NZ use net. If you are fond of savory, try sprinkling it with Everything But the Bagel seasoning. I use a very similar recipe every morning for breakfast. I take it to work and grab and egg and sausage from cafeteria to make a breakfast sandwich. I cooked these to have instead of bread (toast) under scrambled eggs. Used the almond flour instead of coconut as that is what I had available. Excellent! Might try some parmesan as well next time. Since the brand of coconut flour makes a difference, which did you have the best results with? The Viva organic pictured in the post? Thx. Can these be made in the oven? We don’t have a microwave 🤷‍♀️. I was out of ideas for low carb breakfast and haven’t done the shopping this week so mostly out of food too, when I found this recipe. I did not have high hopes as the coconut flour experiments I have tried have all been nasty. I decided on a cheese and black pepper version, I used 1 Tbsp of flour and then a smidge more, just looking for a muffin mix consistency, it gets thicker if you leave it for a minute which I didn’t realise. Once microwaved I sliced in half and toasted, then served one half with a smear of butter and bovril (I’m from the UK btw, it’s beef extract which I have no idea if it’s a thing in the US or not) and the other half with 2 cherry tomatoes on. This was my first recipe for coconut flour, despite being a low carber for about 18 years. I don’t expect miracles when it comes to flour product replacements. This recipe was amazing and I know it will be a ‘go to’ for me and I’ll have a lot of fun with my own variations of savory and sweet. It well exceeded my expectations. Thank you! I would try de cheezy one and if good, will go for the muffin version! Hoping to win that book! Thank you so much for adding the comment about possible issues with different brands of coconut flour. I have made these muffins everyday for breakfast for months. They were a success every time. All of a sudden they started coming out horrible, and I couldn’t figure out why. I came back to check the recipe on the site and saw your note. That’s when I realised that my problems started happening when I bought a different brand of flour. I’ve chucked it out and have gone back to buying the first brand. Success again! I love these muffins. It has 4 ingredients people – It’s never going to be Grandma’s biscuit recipe! That being said I was pleasantly surprised. As a Celiac I’m always out hunting for anything even remotely biscuit like. It was tasty! Definitely making it again. PS I used almond flour in an equal amount and it worked perfectly. I guess I wasn’t sure what to expect as I am fairly new to the keto lifestyle. I’d bought some coconut flour and wasn’t sure what to do with it so I tried this easy muffin recipe. I thought the muffin was grainy, I was hoping for a smoother feel. I can see how you can go either savory or sweet as the initial recipe is quite bland. I’m not knocking this little muffin with my 3 stars (it was the graininess), and I truly believe turning it into a sort of “shortcake” type dessert would be delightful. I’ve got lots of coconut flour – so I’ll have to experiment. Can you use almond flour instead of coconut? I’m allergic to coconut. They work in completely different ways so most recipes cannot be exchanged easily with almond flour and coconut flour. You can read all about it here. Ultimate Guide To Coconut Flour vs Almond Flour. Yes you can interchange almond for coconut but you use twice the amount. 1T coconut flour or 2 T almond flour. In my recipe I only use the egg yolk and I add 1T oil or melted butter +1/4t water. I make chocolate ones by adding 1 T cocoa powder, 1t heavy cream. For sweet ones I add 2-3t pyure stevia blend and vanilla. Just Exchange oil for peanut butter. Make it savory, without sweetener and add herbs, chives, cheese, etc. What is “T” and “t” ? I have subsatued with flaxseed, ok try this 1/4 ground flax,1 tsp baking powder, 2 tsp cinnamon, 1 tsp olive oil or avocado oil, 1 egg, 1 pk stevia/trivia. Mix together in a coffee mug microwave for 60 seconds. You can add berry’s or nuts if you want. 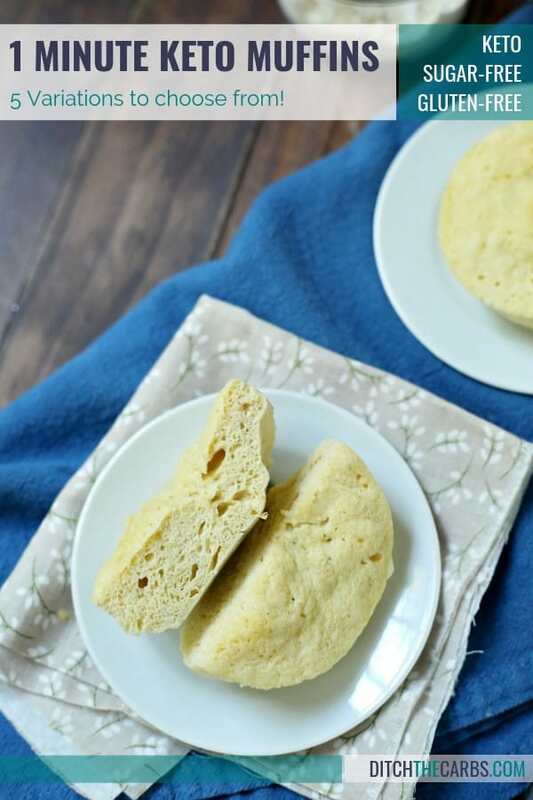 Finally, a keto bread that I can eat with my eggs for breakfast. I have a few failed “keto bread” attempts. I made this muffin using the 2 tsp of coconut flour adding 1 tsp cinnamon and 1 tsp xylitol. For me this was PERFECT! Thank you. Thank you, I’m so glad you enjoyed it. The cinnamon muffin is my favourite by far! Hi Libby – I made them as per the recipe, added a little extra sweetener and 6 raspberries. Ate them with double cream – absolutely gorgeous ! Wow, that sounds incredible. Thanks for the variation. I’m sure many will be trying this. I tried the base recipe yesterday. My coconut powder soaks liquid up like crazy so I used two teaspoons. Worked great. Nice little muffin. I let it cool completely and ate it with some sausage gravy over the top. No egg or coconut flavors. It handled the craving for a biscuit. Today I made one with heavy cream, cinnamon, vanilla and a touch of liquid sweetener. Ate that with a drizzle of sf syrup over the top. Nice dessert. Mine didn’t rise or look nearly as risen or bread-like as yours, and there was a decidedly coconut flavor that’ll take some getting used to, especially for savory applications, but it was good, and has definite potential. I made it with cheese, but it didn’t detract from the coconutty-ness, so I then added a small spoonful of salsa, and half a chopped avocado. At that point, I’d might as well have just eaten a microwaved egg cup, minus the coconut flour. But I’d like to try it again, using more dessert-y ingredients (erythritol, cinnamon, etc.). Thank you for sharing! Put in two tble spoons of flour as tsp only give you and omlet I found. Cut them thin and toast them. I am inspired to make the cheese ones right now. I can’t wait to try them 😋 thanks for sharing this. They taste horrid and are awfully dry, however, I can tolerate them with a little cheese and some cherry tomatoes. I just tried this! I can see why some people didn’t like it. As soon as it came out of the microwave, I was impressed that it worked (I can’t bake to save my life…) but it DID smell eggy. Tasted VERY coconutty, even though I added parmesan. I left it to cool and had it as a snack later with cream cheese, and it was great. Still very coconutty but I’ll add more cheese and something else savoury next time and it should be right. So if you leave it til it’s cook that weird taste and texture is gone. I’m sorry I do not quite understand, the recipe is posted there for you, and it can be printed and the servings sizes are adjustable with all the nutrition info. I’m not sure what you are missing here? Chiming in to echo the Tablespoons correction! Using TEAspoons did not result in anything remotely muffin-like. It was just slightly grainy egg. Using TABLEspoons, plus just enough water to give it a batter-like consistency, made a perfectly fluffy muffin. Yes. Agree with the teaspoon = grainy egg. Will try with Tablespoon next time. I just made these in mug BUT I added vanilla, some heavy cream, sweetener, cinnamon and I few pieces of butter. It came out a nice size and tasted much like the keto mug cakes which are ridiculously expensive. Thanks for the recipe Libby! Thank you, thank you, thank you. I have received some pretty awful reviews recently regarding this recipe from the cookbook I reviewed. 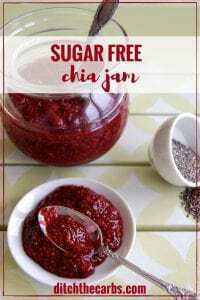 I absolutely love this quick and easy recipe because it is so adaptable. I especially love cinnamon. Me Too Libby, just made the cinnamon and sweetener version and it was so yummy! Was shocked that people didnt like these, cant wait to try some other variations! YAY!!!! I truly think this recipe is so hit and miss because coconut flour quality varies so much. So 1 tsp of one coconut flour brand may be equivalent to 1 tbsp of another coconut flour brand – hence the variations we have seen in the comments. This is the only drawback of using these new unprocessed ingredients, they aren’t as standardised as the ultra-processed and high-carb baking ingredients out there. Worst recipe ever and I don’t even have to try it first. You shouldn’t be reviewing cookbooks. As a chef, I have been refining keto recipes for several years. Microwave = terrible idea because it uses the moisture in food to cook it from the inside out which is why so many people complain about these being dry. Secondly, a “pinch” is not a valid measurement in a recipe. That means something different to everyone. Thirdly, you don’t use a normal amount of salt AND a normal amount of baking soda (heavy in sodium), which is why so many people complain about them being salty. So much wrong here. I’m embarrassed for you, what did you say your name was? My name is Libby (as stated in several places over my website and social media accounts) and I am the founder of this website. Thank you for taking the time to give me a full and thorough review of this review of a cookbook’s recipe. I read that you didn’t even try it, well for the record I did, and my 3 children and we all agree it is a quick and easy sweet or savoury recipe for a muffin. The microwave is an acceptable method of cooking and I am trying to help those who need help the most, those who aren’t chefs, those who can’t cook or who have never been taught. So I would suggest other websites are more suited to your tastes and frank opinions. You go girl! I’m not a chef or even that great of a cook, but I can follow directions. I have made this recipe as is several time, it always comes out great. I like adding the Nut butters. Thank you for your recipes, website and time you put into it. I will keep on making them. Not a great speaker of English either, it would seem. .. “great of a cook” .. what does that even mean? Hi Nona – It means someone does not cook very well. Unbelievable.. How anyone be so rude .. Bitter and twisted! Why so nasty? .for your information it is the amount held between thumb and forefinger. You call yourself a chef but we mere mortals have work to do so something that can be whipped up in a microwave can be a lifesaver. Trust you learn manners and people skills before your next “opinion”, which I noticed was not asked for. I would make the cheese ones! Can’t wait. This looks so legit, thanks for sharing!! Ever try putting meat/tvp/cheese etc in them? I’m so curious! I would make the cheesy ones first! Please pick me to win tje Keto book! It sounds amazing! Not working for me. At first they came out too salty. I guess that I used more than a pinch of baking soda. So the next time I used less and they cam out too dense. Next I’ll try baking them in the oven. I doubled up on the ingredients in the hopes of making two muffins. What I got wascenough to fill the smallest ramekin known to mankind. Omg a lifesaver of a recipe…you made my day !!! Just made these for the first time! Made a plain one and buttered lightly, topped with poached eggs, lemon juice and Mediterranean seasoning. Awesome! A welcome change up from a breakfast without bread. Can’t wait to try other flavors! Wow! Tried these and the first time they came out perfectly! Lovely light texture, great with butter. Can’t wait to experiment with flavours! Super easy and quick. The taste reminds me of the popovers I learned to make in school cooking class. Next time I think I will add a bit of psyllium husk to see if it improves on the sponginess. I also think it will be good with the cheese added. Hey thanks Ellen, so glad you are already thinking of new flavours to use this with. I hate to be a downer, but I don’t think I’ll make these again. So disappointed because I’ve been looking for something to make with coconut flour. The ones I make with almond flour are more like muffins. Much sturdier. Sure thing! It has to be wide enough so it cooks evenly. Have you tried using egg whites? Curious on how much to use if just the whites? Might experiment tonight! I made several batches of this in the same muffin tray, half with 2 tsp of coconut and half with 2 tbsp and I couldn’t even tell the difference. I think this recipe might be wrong. It should be 2 Tbsp of coconut flour, not 2 tsp. I did it the way the recipe is written, with 2 tsp of coconut flour and it turned out like a sponge, super eggy, no kind of muffin or bread texture at all. Could you, the author of this blog, correct the recipe or at least double check that you wrote it right? I tried it again with 2 Tbsp of coconut flour and it turned out like the pictures and tasted fine, much like you would expect a keto muffin to taste. The original cinnamon I made was awful due to too much flour… learned my lesson. Read carefully. I am so glad we managed to figure this out together. Does ANYONE know why my muffins ALWAYS turn out so dry I choke on them? I have made these muffins for the umpteenth time and they are delicious! (2 teaspoons of coconut flour etc) My very picky son loves them and my husband as well. A versatile, simple and fast muffin which is truly tasty. The cheese version is my favorite. Thank you for this life-saver and for all the other wonderful recipes you give us. Thanks for the recipe! I really don’t think it needs the salt, though – I put in the tiniest pinch, as the recipe says, and was put off by how salty it tasted. Will definitely try it again, though! did you use 2 teaspoons or tablespoons of flour? Two teaspoons. I’ve tried these three times now and find the same result as the first person – it’s very spongy and eggy tasting, almost green in colour, and still tastes grossly salty. I don’t know how much you would quantify a “pinch” as, but I’m going to play around with these and maybe try even less baking soda. If your coconut flour is turning purple, try to find a baking powder that is aluminium free. Sometimes that causes a reaction to turn the coconut flour green/purple or blue. If it is too salty, you need way less baking soda (or is it baking powder you’ve been using?). Some coconut flours aren’t as powerful as others, so next time try 3 tsp of your brand. I hope this helps. Did like another person suggested and used 2 Tbsp instead of 2 Tsp of coconut flour and kept the other ingredient ratios the same. No eggy taste at all, tasted like an english muffin! Was fantastic with a generous smear of butter. Can’t wait to try one of the different varieties suggested! Ohh I did this by accident and then threw away before continuing when I realised my mistake!! Quite possibly one of the filthiest things I’ve ever tried to eat. What did you put in it to make it filthy? Dust, muck, dirt, mud……? 100% agree. Spit it out and it went down the garbage disposal. I was so hopeful. Thank you so much! I Love this site and recipe. Wonderful blueberry jumbo muffin liner size by adding frozen blueberries, a scant tsp of sweetner, splash of vanilla, and microwaved fo 2-2 1/2 minutes! Delicious!!! can anyone tell me how long do these last? could you make a few and store them in a container or no? These are designed to be an instant snack made in one minute, but you can however freeze them if you want in an airtight container. Some readers have made a large batch of them in the oven and then frozen them for up to one month. Made mine with same ingredients and the exact same way in the oven, but mine came out light green. Weird. That just explained what I was going to ask about. I have made these a few times and enjoy the muffin texture. Don’t find them eggy at all, but was wondering why they seem to turn out blue/grey. Had it for breakfast this morning with Almond Butter smeared on. Will have to try with the other flavours now!! Thanks for the recipie. BTW, I always bake them in the oven. Hi – The muffins taste good but are super tiny. Mine look kind of shriveled and they are about 4 bites. What could I be doing wrong? I’m using the coconut flour, I did add some Lily’s dark chocolate chips to the last one but the shriveled size was still the same. 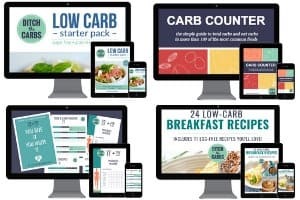 Thanks for having this website, it is invaluable as a resource for keto! I tried making mine in the oven, and it literally came out as a baked egg, a really bad egg. Do you know what could be a beginners fault? Did you make this with almond flour or coconut flour? I made it with almond flour and it turned out fine. I had the same issue. My gut told me 2 tsp was wrong but I wanted to try it in case, big blob of egg. Tossed it. Maybe they meant 2Tbl?! I made a savory version last night and added two heaping teaspoons of grated cheese and a teaspoon of marinara sauce. The muffin came out a little damp, so I browned it a bit in the toaster oven and it tasted great. Emboldened by my success, I made a sweet version this morning and added 1/2 teaspoon of vanilla extract, a tablespoon of sugar-free chocolate chips, a few squirts of liquid stevia and increased the microwave time to 1 minute 20 seconds. It turned into a strange shape and texture! I will stick to the one minute time from now on. I think it helps to let the egg and coconut flour mixture sit for a few minutes before cooking it. I tried a small variation of it and it is great! I used a mix of coconut flower and flax that I keep so I can reduce the net carbs. Used 1 spoon only with a large egg + the baking soda. It came out nicely (more like an English muffin (a fluffy one). I’m going to try it with Almond flower instead next time! Isn’t 5g of carbs a lot for one muffin??? Keto is 20 or less per day, correct? If you eat one or two of these for breakfast, (not counting anything you might put on it or add to it), that doesn’t leave much for the rest of the day! Am I reading something wrong here or not understanding something? I believe Keto is net carbs, so you’d subtract the fiber (I.e. 5g carbs – 3g dietary fiber =2 g net carbs). Hope this helps! They’re 2 net carbs for each muffin after you subtract the fiber. Wow, looks so good and easy! I’m going to start with making a sweet one to satisfy my sweet tooth! This was so good. I didn’t have baking soda so used 3 pinches of baking powder . Had two for lunch with 40 grams of tasty cheese and a tblspn of butter. Very filling. Again, thanks for a lovely recipe. All I can say is that you have the patience of a saint, Libby. LOL I’m going to make this today. Dear hubby is making his famous scrambled eggs with a little cheese and fried bacon. He has his with biscuits. I’ll have one of the plain muffins with butter. This will be my first experience baking with coconut flour. Thank you!!! I have 3 children (and a husband) I have no choice 😉 Hope you enjoy these, we love them with cheese or made with cinnamon and sweetener with butter melted on top. Yummmm. I’m from South Africa, and not sure about the baking soda? We normally use baking powder. I’ve read that the baking soda needs an acidic partner to get your product to rise. Can I just substitute the baking soda, for my baking powder? Hi Erika, I believe baking powder is baking soda and cream of tartar. I have found sites on the internet which give proportions for folks who want to mix up their own batch of baking powder. Martha Stewart says 2 tsp cream of tartar, one tsp baking soda. Other recipes include cornstarch but I would avoid those for carb watching purposes. Good luck! You can get it there. look for bicarb. Robertson’s makes it. I think it’s in a blue sachet. Definitely. I had the same texture problem. I wondered if there was a typo and it was actually 2 tablespoons. This definitely tasted more bread like, but like a dense dry scone instead of a muffin. I put a lot of butter on it and it tasted great! Maybe one tablespoon would be good? I added 1tsp of unsweetened cocoa powder, a few dark chocolate chips, some stevia, a little bit of melted coconut oil and a few drops of vanilla. Came out great, little dry on the bottom (I’ll add more coconut oil or some melted butter next time) but I will definitely be making these often. Thanks! I tried these – the cheesy option – but they came out as scrambled eggs. Tasty, cheesy scrambled eggs, but no way could I stretch the description to “muffin”. These are a refreshing change from the everyday!! we made them with garlic salt, and some grated cheese, eaten warm. served with butter my kids eat them with Havarti cheese or Asiago dip, or spinach dip or ham dip. they get dry if cooked too long. Cant wait to try some variations with cinnamon!!! Sorry but coconut flour and almond flour are not interchangeable. I have written the Ultimate Guide To Coconut Flour vs Almond Flour, where I explain how they both work in completely different ways and have completely different properties. I will be having some almond flour bread published here soon. This was great! Love the simplicity and the fact that there are so many options. I left out the salt and used a generous pinch of baking soda…used avocado spray on the ramekin. Nice texture. Yes, it has a slight “egg-y” taste alone, but I don’t mind it at all — plus once you put something on or in it that disappears anyway. Lovely with a generous spread of butter. So happy to have this, thank you! That being said, i’ve made this Bread so many times, it’s very good, but i use a Tablespoon of Coconut Flour, always remember, all brands of Coconut Flours act differently! I found these to be very dry. I add 1 tsp of olive oil and 1 tsp of vanilla. It improves the flavor too. I don’t mix them in the cup or ramekin. I whisk them in a separate bowl before pouring it into the ramekin. I find they I don’t have the ‘scrambled egg’ texture. It becomes a muffin when mixed more thoroughly. My favorite is to add cinnamon and sweetener. Couldn’t find a place to comment, so I’m posting as a reply. This recipe is not right. Baking soda should be baking powder, and 2 tsp coconut flour is fine, but it’s missing golden ground flaxseed meal or almond flour or somethiing else to add up to 1/4 cup. Google and check other websites. These are pretty good when made correctly, so don’t give up! So you add 1/4 cup flaxseed / almond meal or do you mean it has to add up to 1/4 cup with the other ingredients? The recipe I was using is at http://www.geniuskitchen.com/recipe/one-minute-flax-muffin-low-carb-295649?ftab=reviews#activity-feed – it uses 1/4 cup flax seed meal. I have also seen recipes that use 1/4 cup almond meal. So yes – if you use coconut flour, I would add enough of another to equal 1/4 cup, but only if you go with the whole recipe found at the above site. This recipe will work, but you have to really whisk the ingredients together well. the little muffins here taste almost like a pancake and are good with butter and sugar-free syrup. I do apologize! I got these to work! I still think they are better with more flour or flexseed meal, but that’s just my opinion. I thought they were great jut the way they were in her recipe but I believe every recipe is just a suggestion so I will try your recommendations too! I substituted Almond Flour for the Coconut. Plus added a tablespoon of low fat butter. Result was better taste, better consistency, bigger batch. Made more like a thick English Muffin. Toasted and Buttered. Mmmm! Plus, Less Carbs! Oh! I also added raw Stevia powder for a bit of sweetness! Brilliant! I love it when readers find new ways to jazz up a recipe. Thank you. Works well as a sponge. Dishes came out sparkling clean. HAHHAHAHA — mine came out pale green and a bit on the sulfury side. I guess I cooked them too long. What can I do….? These are SO DRY!! Help! My daughter dipped hers in milk to get them down. It sounds like they were cooked for too long. Did you serve them with butter? I make mine in a tea cup. Help! I just made call this but parts of the muffin looked black. Any ideas why this would be? It appears some brands of baking soda are reacting with coconut flour and the egg to make it look grey. Try to find one that declares it is aluminium free. I tried this two different way, and both ways just tasted like microwaved eggs, definitely nothing like a muffin… an I doing something wrong?? Did you add the flavourings? That alone should stop the eggy taste. Me too. Gross scrambled spongy eggs! I don’t know why. I’ve made these many times. I think the answer is to beat the batter really well with a fork to make sure all the coconut flour is completely incorporated into the egg with no dry lumps of flour left at all. They come out great that way. Any seasoning, either sweet or savory, makes them not taste too eggey. I just love them! I’ve also made one with some pumpkin puree, sweeter and lots of cinnamon. Yummy! Help! I tried the basic recipe twice and both times ended up with scrambled egg. What am I doing wrong? To me they just tasted like scrambled egg with a hint of coconut. No form, just a mess. What am I doing wrong? Are you sure you have coconut flour not desiccated/shredded coconut? You may need to choose a different brand. My coconut flour has only a hint of coconut so I flavour it heavily with sweet or savoury tastes. I love using coconut flour and have dedicated an entire category of recipes using it, or substituting with it. Take a look. How much coconut flour are you using? The recipe quantity of 2 tsp has to be wrong. Try 2 TBSP and it will look more like it should. Still tastes of egg but maybe that’s what was wanted! Fantastic and worked great! I used cheddar cheese, red pepper flakes, and bacon. Fantastic and so quick..
I’m definitely going to make the Cinnamon Variation for my son tomorrow morning. He was diagnosed with Diabetes Type1 6weeks ago :'( ….only 5years old… He used to love pancakes….so this will be his new treat. Can you make a whole pan of these using a muffin tin? And then maybe freeze them or refrigerate them for later use? I’m a teacher and don’t have time to make these every morning, so if I can make them ahead of time, that would be perfect. Is there a bulk recipe that I can mix and pour into a muffin pan ? I’m looking to make a dozen to grab daily for breakfast ? Simply use the “Servings” box to dial up how many you would like to make, and as if by magic, the ingredients quantities will recalculate themselves – voila! I made the sweet muffins this morning and they came out a bit flat, looked like hockey pucks. It was a bit like a moist (a little wet) “bread” they did taste good and were filling but I was wondering if I had to add more then a pinch of baking powder to make them rise more and come out fluffy? I used all ingredients listed and put them in the microwave. Any suggestions? It sounds like they weren’t cooked for long enough perhaps? They shouldn’t be at all moist so cook a little longer (all microwaves vary considerably) and that will help them rise too. I tried cooking them longer today 1:45 sec. They came out drier but still same size? I’d love to try the oven but mine isn’t working right now. I’ll try making one in the toaster oven to see the difference. I see it puff up while it’s cooking in the microwave then when I open to take it out it looks like a hockey puck? Make sure your baking powder is fresh and use 1/4 teaspoon instead of a pinch. Hope this helps. Did you mean baking soda? Or is there a typo on the ingredient list? I am trying these now and super excited! the recipe calls for baking soda ….not baking powder…not sure if that would make a difference…..I made one this morning and it was very nice not real high as I used a bigger baking dish…. Is it supposed to be powder? I just made the cinnamon sugar and it was a bit bitter. Wondering if the fact that I used soda would contribute to this?? I also experienced bitterness. It’s quite unpleasant actually and the bitterness lingered on my tongue. Nothing in the recipe is bitter, other than baking soda. It sounds like you added too much. Only a pinch is required. I enjoyed it just being plain. My daughter loved the cinnamon sugar, Recommend beating the egg before adding other ingredients, find it to come out fluffier. I forgot to add the salt, added a 1/2 tsp of swerve. It looked beautiful, smelt wonderful … tasted like watered down cornbread and just as difficult to swallow, So i dipped it in the egg juice and got it down. I feel satisfied and not food comaish like with real bread so well see if it lasts awhile! I just made one of these. Great! I will try with a little less coconut flour as they are dry… but everything with coconut flour tends to be dry. Was very filling–ate with a sausage patty & a glass of water. I feel STUFFED! Thank you for sharing!! The calorie count is way off… I even add 1/4 tsp of coconut oil to the count for greasing the ramekin, and it came to 102 calories. Just tried it and it came out flawlessly! About the size of a biscuit with a texture like a dense bread. The only thing is that the calorie count listed here is way off. 2 tsp coconut flour only has 24 calories, and the egg is 70, I got 94 calories for the whole recipe. This is a game changer! Quick and easy, and I’m so excited I can now have “bread” and will be using these for sausage biscuits, hamburger buns, etc. Thank you!! Can u use almond flour instead of coconut flour? Libby, was there ever any definitive answer on the green thing? I have made these several times and all I get is green looking pucks. I mean the texture and doneness are fine and if I close my eyes and dont pay attention to the color all is good. But they are green……like spinach green…..what am I doing that others seem to not encountering. Frustrating….. It appears some coconut flour is reacting with the baking soda. Very odd indeed. It has never happened to mine so I am wondering if there is some hidden ingredient in some brands? Makes me wonder. These are OK. Like most low carb baking the egg smell is pretty noticeable. I added a bit extra salt and baking powder to help counter that by it does tend to add more air pockets. Comes out very much like an English Muffin or crumpet. Flavour wise it was very flat as a plain muffin or with cheese. I don’t do sweeteners so getting the savoury side more flavourful needs work. They are super filling though; I ate two and some pepperoni sticks and it felt like I had eaten a whole chicken. 🙂 Most likely the coconut flour sucking the water out of my stomach. I just made this, and it tastes/smells like ammonia! It’s horrible! I followed the recipe. What could I have done wrong? Could one of the ingredients been bad? I would check your ingredients. Sounds like something is a bit “off”. I googled it, and just found the answer! Apparently coconut flour can have a reaction with baking soda “in rare occasions.” Lucky me! I made another one of your recipes that uses baking powder and it was fine. Hey, great recipe, but it comes out very dry for me (using 2 tbsp of almond flour). Is there a way to make it more moist? Was it cooked too long perhaps? It should be nice and soft. Try adding a little extra butter to the mix, that would be a lovely addition of taste and moisture. No, exactly one minute on high. Ok I’ll try the butter idea, thanks. The recipe says 2 teaspoons ,not tablespoons. That might be the problem. You used tbsp almond flour and it is 2 tsp. Coconut flour. Tbsp is way more. Almond and coconut flours are very different as well. So is it tsp or tbsp? I’m guessing here, but since it’s done in a mug, I’d say teaspoons, not tablespoons. No one needs to guess, it says tsp/teaspoons right in the recipe. Thanks for the suggestions. I used tablespoons, because normally, when you exchange coconut flour for almond flour, you have to use more. Might have been too much though. Using 2 teaspoons of coconut flour, as the recipe states, fixed the problem. Also the butter is a nice add on. This is the guide to which sweeteners I use. Generally I use Swerve or Natvia. Both measure spoon for spoon in place of sugar and are quite foregiving. I was wondering why the calories for these are so high. Calorie King says 2 Tbsp. Coconut Flour (this recipes calls only for teaspoons) is 60 calories and my carton of eggs says one egg is 80 calories. No calories in salt or soda so wondering why calories for one is over 200? I don’t understand why the fat is 18grams? There’s only 5 grams of fat in an egg. Me, too. The nutrition does not add up at all. I ran it through My Fitness Pal and did it myself. Both ways I came up with 92 calories, 3g carbs, 5g fat, 7g protein and 2g fiber. I used a regular size large egg and 2 tsp. Better Body Organic Coconut Flour. You are off on your carbs. It’s 3 Net carbs per serving in the Coconut flour. Using my larger Ramaken, I have to make 2 servings for my 1 sandwich. But I only eat one meal a day… so 6 net carbs for this bread isn’t too bad. My bad…. recipe calls for 2 teaspoons. 3 net carbs is 2 tablespoons….. but how you can get a muffin looking like that with 2 teaspoons is magic. Not enough substance in that recipe for those results unless you are making 2″ diameter muffins. Thanks for this super easy recipe, even for a guy lol. I made a cinnamon one yesterday which was good, did not have any baking powder but didn’t appear to matter. Tonight I added a tsp of cocoa powder, when cooked I topped with cream cheese and blueberries……delicious!!!! No. Just no. 1st day on keto and thought this would help. Texture and taste – more like space food from a foreign planet. I’d rather just eat a tablespoon of coconut flour. I have been doing low carb for a while. I found this recipe today and thought I would try it. I first tried the basic recipe, as a baseline. It wasn’t particularly good. For the 2nd, I added cheese and still wasn’t very tasty. None of the alternatives sound that appealing to me either, but I may try some of my own… maybe with diced bell pepper, mushrooms and cheese… possibly with some diced sausage as well. Might just stick with omelettes though. Sam, your first day on keto is not the day to try something like this. You have been eating nice, soft white/wheat bread, or bagels, this is something that would be good after a couple weeks doing keto! Good luck in the future! Trying to figure out what is so “foreign” about egg, coconut flour, salt and baking soda or powder. Those same items are used in the SAD diet all the time. I would try the spinach and feta – I think my husband would love these! Made the cinnamon sugar for breakfast, and cheddar+ onion and garlic salt for lunch (cut in half, each with a slice of bacon and soft yolk egg) DELICIOUS! Question, if I make ahead- how well do they store? Still good if refrigerated for a few days? What about freezing? I have never frozen them as they are so quick to make, I make them on the spot. Has anyone else here frozen them? Suggestions? Where they successful? Wow just came across your post on pint rest…i absolutely love savoury so cheese and spinach is the first ones I will make…fantastic! Absolutely delicious with mozzarella and rosemary, straight from the ding, smothered in butter. Thank you! My wife made these this weekend with cheddar cheese and spinach and they were fantastic! Can’t wait to try the other varieties and to experiment on our own. I do have one question though. The nutrition information said 202 calories per muffin. Is that right? Perhaps we got a different coconut flour, but it was only 60 calories for 2 TBS and the egg was only 70. Either way they were fantastic!!! I’m not sure how the nutrition was calculated, it is from the book featured at the top of the post. A large egg is 77 calories (or thereabouts) and 2 teaspoons of coconut flour is 20 calories, coconut oil (to grease the dish) is 40 calories = 137. THAnk you for the reply!! That is what we were coming up with too….just means more deliciousness for us with even less calories!!! Can ya use a pinch of baking powder instead of baking soda? Yes, I ran out the other day and used baking powder, I have also tried it without, seemed to work too! Is it really only 2tsp of coconut flour not 2 tbsp? Seemed very low to me but did it exactly as per the instructions with added cheese. Didn’t cook and kept adding time on the microwave to 3+ mins. Still not anywhere near cooked. Added more flour and put it in the oven. Then it turned out ok but bit more like cake than a muffin. Mabe I added a little bit too much flour? I have made this so many times I cannot count. Yes it is definitely 2 teaspoons of coconut flour (or 2 tablespoons of almond flour). It sounds like you had your microwave on a defrost or warming setting, even the egg alone should have cooked in that time, in fact 3 minute it should have been overcooked and rubbery. It seemed to have grown an extra head in the middle on top, but it still tasted fine. These look great! Will have to give them a try with some savoury flavours! I just made this with 2 tablespoons of Cheddar Jalapeno pub cheese (I got it at Trader Joe’s) and its like delicious fluffy nacho bread. Its super satisfying and delicious! Love this post, I couldn’t wait to get home and try it. Mine came out, super “egg-y” on the top and bottom. The middle had a bread texture, but the top and bottom looked like fried egg white. Any idea what I did wrong? I had to use a big mug because I don’t have a ramekin. It was still good, just not as close to bread as I’d like! It sounds like it wasn’t whisked together quite all the way through. I use a fork to whisk mine in the mug. There shouldn’t be any egg white visible. Try again, these are such a staple in our house now. I tried this this morning. They were great! I baked them in a toaster oven (I’m currently without a microwave), inside of straight-sided coffee cups. I made the muffins plain and used them as a substitute for english muffins in a Eggs Benedict breakfast. They were perfect! I did miss the “chewy” mouth feel of the english muffin, but not enough to gain my weight back lol. I also made a test muffin with the fine shredded coconut, since I had some on hand… it was awful, don’t try that lol. Ahhh, this may answer another question I got from a reader last week asking why her raspberry sponge had gone mouldy overnight, and I was certain it must be something else occurring as I have never hear of mould appearing overnight. I also did a quick google search and it may also be the aluminium in some baking soda/powders that reacts with ingredients. Glad to hear you were brave and ate it anyway – never waste ingredients I say. Baking soda and powder can also react with the chlorophyll in sunflower seeds too. I’ll do some more research and add a footnote. Thanks for bringing this up, I love solving a mystery. I had the same issue with them being green. They tasted good though. Sure, you can cook these in a mug, I just find they work better in a ramekin aa it is a little wider than a mug and rises less. I was wanting to make a big batch to feeeze. How would you recommend adjusting the recipe for a 12 cup muffin pan and in the oven? You’re in luck! I now have a nifty tool that allows you to change the servings and ingredients. Hover over the number of servings and a little slider will appear. Move it until you get the desired quantity and the ingredients will calculate themselves for you. That is very useful…just curious it says for 12 that I needed 12 eggs and 24 tsp flour but only a pinch of baking soda & salt..I would have thought that would have increased when making a dozen !! The sliding calculator is great for whole numbers, but it isn’t clever enough to know how much a “pinch” is so I would estimate you would need 1/2 teaspoon. I have only been on Low Carb for about 4 weeks, so am still having quite the trouble skipping the carbs, but i have been almost 100% faithful through the struggle, so… yippeee. It was a touch dense, so im going to experiment a bit with that, but definitely workable. What a great way to use this recipe. I love it when readers experiment with their own twist or flavours. Especially as you have just started out. Brilliant. Made mine a savoury muffin with fresh thyme and chilli chopped into it. One minute in 750w microwave. Split and then toasted the muffin. Spread with butter. Had with fried egg. Not bad at all and very filling. Will try sweet one next. I tried a tweeked version of this for breakfast this morning. It sounded from the ingredients that it would be too dry (although I didn’t give it a chance). Anyway I mixed the egg with about 1 tsp of olive oil and probably 2 tsp full fat plain yoghurt and some cheese and then added to the dry ingredients. Popped it into the microwave for just on 1 1/2 mins. Even though I say it myself it came out really well. Topped with butter, ham and more cheese. Will try an egg Mcmuffin version tomorrow. Boy, I am loving all these ideas coming through. Love it. Followed the recipe and turned out great…one muffin made 2 … sliced in half, then each half in half again, toasted then made 2 bacon muffins for our breakfast!! Who needs bread..Not us!! Loved it! Thanks so much for sharing! These aren’t working for me either, pretty decent cook i’d say but i’m just getting a mass of scrambled egg that The mix just seems far to runny to be a “dough” it rises up really high and then shrinks down to something that looks pretty un-edible. Could it be the the flour, mine looks like ground almonds should it actually look like flour? You can use 2 tsp coconut flour or 2 tbsp almond flour/meal. I use ground almonds all the time in place of expensive almond flour and it works fine in this recipe. I wonder if you could reduce the cooking time. It sounds like it is collapsing because it has cooked too long. Mine collapses a little, but more so if it is cooked too long. So it turns out i was using bad coconut flour which was more like fine desiccated coconut. Changed to a decent brand and recipe works fine. So, we found 1 egg, tsp of almond flour, then enough coconut flour to make a thick batter….Ymmv. 1min 20sec in our 950w microwave. We added butter, and warmed some frozen berries, mashed them up with a tsp of stevia sweetener. Delicious! Libbys could you please tell me how long you would cook these in a regular oven, clearly I would make a few at a time. Grazie, Mary. I made these last night to go with our soup. I used Parmesan cheese along with a couple of the seasonings used in the soup. I also doubled the recipe since I don’t have ramekins. I have 20 oz soup mugs that I used. Microwaved for 2 min left me with a tolerable soft spot on the bottom. This worked out beautifully since my husband hollowed out the center and ate his soup out of his bread bowl. This morning I made these again with stevia and cinnamon. It wasn’t sweet enough and the 2 tsp of cinnamon for the doubled recipe was barely noticeable. I added vanilla and an extra tsp of sugar and cinnamon to another bread. Toasted and buttered I am eating this now. Yum! On a side note, my non grain free son liked these. However, he tolerates the mouth drying effect of coconut flour. My daughter can’t get over that effect and won’t eat these. any suggestion on making a lighter bread product. Just tried this recipe. I threw in some sharp cheddar and basil. It was so good! I’m thrilled to finally have an easy bread alternative. Thank you for the great recipe. Did you use baking powder or baking soda? Can you please clarify what Baking soda means, is it Bi-Carbonate soda or Baking powder? Made these with a pinch of baking powder and came out great and then sliced and put smashed avocado, salt and pepper of them with a squeeze of lemon. Amazing! Baking soda is sodium bicarbonate, and baking powder = baking soda + cream of tartar, hence why baking powder is sometimes called “double acting”. Glad to know baking powder worked well in the recipe, thanks for the tip. I made the 1 Minute Keto Muffin with cinnamon and sweetener this morning and I’m sorry to say it was like trying to eat a dry sponge. It was tasty though. lol I’m wondering if since I’m adding more dried ingredients if I should maybe add some almond milk?? I didn’t microwave it but about 55 seconds as we have a fairly low watt microwave. Forgot to add…it wasn’t very tall either. Maybe the size of one slice of an English muffin. You may have used TABLESPOONS instead of teaspoons? I made these for the first time yesterday and made that mistake! I was like, how on earth do people eat this?? Realized my mistake and have made it correctly twice since with delicious success! Make the plain one an hour or so ago. Turned out fine. Definately needed 1 minute to cook. I removed from baker, set aside and let cool. I cut in half after cool and buttered the pieces and put on grill until browned. Going to use tomorrow for Ketomcmuffin. I tried the cinnamon /sugar for breakfast this morning. I was a bit afraid when I tipped it out of the ramekin, as it jiggled like jello. Upon trying to cut it, it felt funny too. So to be honest, I almost threw it away. The mind over matter took place and convinced me to just try it. So I slathered some butter on it and a bit extra cinnamon and sugar. OMG!!!!! From the first bite it tasted and felt like bread in my mouth!!!! In my mind I was saying ” I like bread!”. I’m definitely giving this recipe a 10! I can’t believe I’ve finally found a bread recipe I love. Thank you from the bottom of my heart!!!! I do have one question, on your carb counts for recipes, do you automatically put the net carb down or do we need to remove the fiber to get it? I can’t wait to try other recipes you have! I’ve been having difficulties getting back on my lchf lifestyle and finding your website is just what I needed! I think you may have read it wrong, I say to add sweetener and cinnamon to the mix, then add more to sprinkle on top once cooked. “cinnamon 1 minute keto muffins – 1 tsp sweetener and 1 tsp cinnamon. When cooked, also add butter and sprinkle with sweetener and cinnamon”. You will love them. I tried baking for 12 minutes. Seems the eggs like to settle or the flour rises and created and eggy bottom. Top tasted like a decent muffin. Bottom was a nice omelet. Tried 3 TSP coconut flour and 1 large egg. Total omelette. What am I missing?! Did you mix it well? Add flavours? It really does work, photos are flooding in. Give it another go. I’m sure you’ll have success. I mixed it perfectly. I bae a lot. I make low carb bread with flax no problem but this is just omelette and rubbery. I noticed it is a lot better when could but still rubbery. I used larger eggs so put in extra coconut flour do still rubbery. I also noticed that it shrinks alot when cooling so it ends up 2/3rd ther size ofthe container. Did you get that? I did lemon vanilla cream. It was fantastic. Thank you for sharing this. I just made these I had been making the flax seed ones, theses are so much easier and better, I added cinnamon and sweetener and 3 blueberries, next time I’ll cut them n pieces it took in my microwave 60 seconds, they weren’t done in 45 seconds, I put butter on top delicious luv your site, I made nacho chips last weekend, thanks so much for the great receipes!! Wo hoo, what a lovely comment to leave me. Thank-you and I am so glad you are enjoying my recipes. Added 1 teaspoon each of cocoa. And xylitol- yummy! If the muffins turned to hard/dry is it because of flour quantity? Or more mixing? Did you just add 2 teaspoons of coconut flour? Some have commented here that they think it should be tablespoons, but it is definitely teaspoons. I’m wondering if you need to reduce the cooking time in your microwave. I only use 45 seconds as explained in the recipe. Try reducing it and mixing the ingredients thoroughly. I’m sure you’ll have better success next time. I had an egg MacMuffin for breakfast so yummy !!! cooked the muffin split it and toasted it fried an egg , put it between the two pieces wrapped it and then reheated in microwave a couple of hours later .certainly did not feel deprived when eating with my colleagues later. Was still soft and fluffy and a delightful change . So quick and easy to make next time cheese , Thank you for sharing. I absolutely love this idea, I think it could be my next recipe to make here. Brilliant and thanks for sharing. I am new to the low carb thing. Bread is one of the most missed. I tried this, but was like eating microwaved eggs. Did you add the coconut flour? Mix well? Salt or flavourings? Let’s figure out what went wrong for you. What is Rotherham best size Ramikin to use? I use a small ramekin, similar to a coffee mug. I have made the Cinnamon ones, the nutty ones, used crunchy Almond Butter (Yum) and I also made cheese and bacon with a dash of Onion Salt and Basil paste, which are magic. I put in a couple of tspns of Coconut Oil to compensate for the Cheese and Onion Salt being dry ingredients, they needed slightly longer cooking but I love them, they are very satisfying for breakfast with Butter of course 🙂 Thank you so much for sharing this magic recipe. Is there a replacement for the coconut flour? I just cant eat that flour. Yes, I have made these now with 2 tablespoons of almond meal/flour instead of the 2 teaspoons of coconut flour. Works a treat. I would make the cinnamon and sugar muffin!! I made these this morning. Made the cheese/chive one with pepperjack. It was OK. It was a bit eggy so reminded me more of a little quiche. I then tried the nutty one and nutty eggs are not good. Decided to stick with savory and maybe use sharp cheddar next time. I have now had the cheese ones (grated Cheddar) four times for lunch and haven’t even made it onto any sweet ones yet! Best thing I’ve found is pizza-style (or cheese on toast) with tomato and cheese on top and then stuck under the grill for a few minutes, then eat with a little ham and some salad leaves. Delicious and surprisingly filling! Sweet with cinnamon. Trying to reduce my daughters carb intake, so these will be fantastic! I’m trying to figure out how you get 200 + calories on this. It’s just because I follow a low calorie low carb diet and find some of your stuff fits my diet as well so usually jump right to the calorie count to see. These look interesting but am I missing something?! I used the nutrition panel for the Keto Cleanse Cookbook and now I have double checked it, it appears they include 1 teaspoon of coconut oil to grease the ramekin dish. Using cronometer.com I calculate the following – 1 large egg is 77cal, 2 tsp coconut flour 20cal, 1 tsp coconut oil 40cal = 138calories. I’ll do some more digging and ask Maria to get back to us on this one. yes and what about the fat , how is it 18 grams? I would like to try the spinach and feta. Sounds wonderful! I would like to try the all, but thinking cinnamon first. I’d like to try these with pumpkin spice! I’ll definitely give these a try. I’m used to making Miffin in a Mug recipes (usually chocolate, chocolate and berries, spice or spice with feijoa but sometimes a savoury mix). I’ve tried making cupcakes with coconut flour and they were so so awful!! The texture was horrendous and the coconut flavour was way too much for me. I haven’t used my bulk coconut flour since!! I’d try a cheesy muffin. Maybe almond flour instead of coconut? Plain with butter sounds amazing! Just wondering – does this recipe only make 1 at a time? So if I wanted to make half a dozen for the freezer to grab’n’go does that mean I’d need to use a dozen eggs? Yes this recipe is for a single serving. To make it larger, yes you would need to use 12 eggs, 24 teaspoons of coconut flour etc and any other flavours. It is so quick and easy however, I wouldn’t even freeze these. Make them as required to ensure they are fresh and fluffy. The freeze can often do crazy things to eggy baked goods. Could you use almond flour? Yes, I have just successfully made these with 2 tablespoons of almond meal/flour instead of 2 teaspoons of coconut flour. Yumm. First a plain one and then probably one with nuts and chcolate. Or maybe one with blue berries and chocolate. Yum! I definitely want to try the cinnamon one – my kids would love it for their breakfast! I had the same experience. Very eggy texture. Mine did not look like her picture. It’s a nice quick snack, but not what I expected. I’m definitely trying the nutty version of this keto muffin! I love savoury foods so I would make the cheese and chives. I would make the Cinnamon Keto Muffin first. Then I would make the Nutty Keto Muffin. Thanks for the opportunity to win Maria’s Book. I like sweet or savory, but think I’ll start with cinnamon/sugar (swerve) and pecans. If this would work for a substitute hamburger bun, I think cheese and sun-dried tomatoes might be good! I would definitely try the plain first. 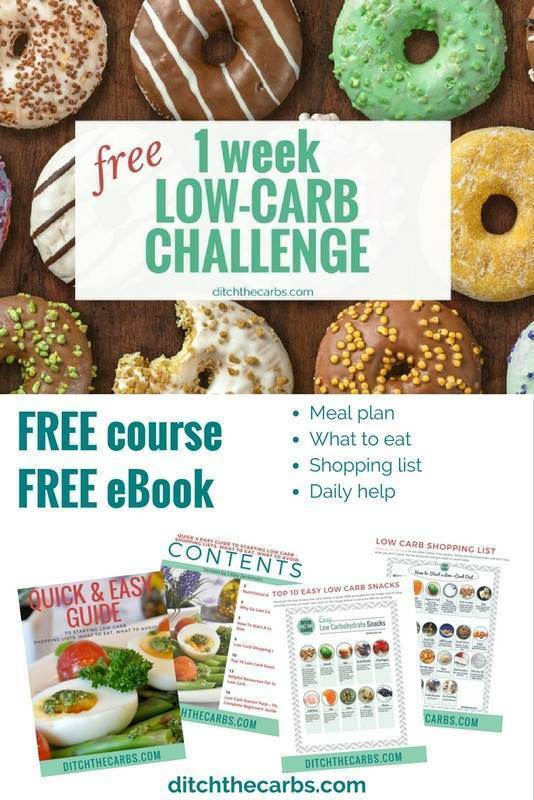 I am new to this low carb lifestyle, and I am looking for basics that I can implement into my everyday meal schedule. Cheese of course, what else, with a hint of paprika!! Definitely! I miss Cheese scones! I love this quick an easy recipe for the early morning rush, sweet is the usual, but my taste buds are loving the sound of your spinach and Feta! I’ll be trying that variation of my favorite “mad dash for work” recipe for lunch tomorrow ♡ thank you for all you time and hard work! I think I would definitely have to have it warm with butter and cinnamon/sugar that I like to make. I am a huge fan of “cinnamon toast” but rarely indulge since I’m paleo/gluten free anyways. Thanks for the simple and universal recipe. It’s great we can make it so many ways! I’m already a subscriber to the newsletter so I know you have great recipes all the time anyways! Also, I’m looking to possibly try Keto so I’m hoping to get this cookbook. It looks great. Made mine with 2 TBSP (assuming you mean tablespoons…not teaspoons) of Ground Flaxseed as that is the ingredient de jour in my house and added 1.5tsp of ground ginger (I like ginger so that’s quite a lot). Used 1 tsp of Naturals Crunch sugar-free crystals (0 carbs)….YUM!! I have just made it using 2 teaspoons of coconut flour. I’m sure the recipe should be tablespoons as well. Mine came out like an omelette. Tasty enough but nothing like the muffins in the picture which look like they have substance. Thanks for this comment! This makes more sense than tsps!! I’m going to try it again now. Just tried this. 45 secs was enough. I just did the plain basic one and had it with lots of butter and vegemite. Very yum. My first bread thing since doing lchf. Happy! Ooh cheese for me I think! How do u make them. Sage and onion would be very tasty. Spinach & feta, of course! Definitely the cinnamon one!! And then the cheesy one 🙂 Yum!! Going to try this when I get home. Cheesy I think! I would try the sweet one first then the cheesy one:) Looks yummy!!! Cheesy! I love your site and also Maria’s! I always go plain first with butter and I did! Oh my … it was sooo tasty! I can just imagine a cheesy one…. going to whip up one now. I love how easy and quick this recipe is. I have to try this SOON!! I like the savory with cheese idea! I would make the cheese ones! I would definitely have to add some cinnamon to mine!! Thanks for sharing these easy peasy recipes!! I’m going to start with the original and follow up with cinnamon!! This looks fabulous and I can’t wait to try the various options. One question though the recipe calls for 2tsp (teaspoons) coconut flour, this seems like such a small amount is it perhaps 2tbls (tablespoons)? I’d like to make sure before I try the recipe. Thanks. It is definitely 2 teaspoons I have made this over a dozen times now (and my children too). Coconut flour is incredibly absorbent you need very little of it, which makes for an easy and economical way to bake low carb. Photos are already coming through on Facebook and Instagram of readers results, they look amazing. I am loving the flavours you are all coming up with. If I make it for breakfast I’ll try the cinnamon, but if it’s lunch time I’ll try the cheese. Sounds great, I have become very sensitive to nuts lately so I’m really glad to find recipes like this with coconut flour. I am a sweet girl all the way si I am going to try the cinnamon sugar one first . Maybe top it with a little cream cheese frosting for a faux cinnamon roll. I’m going to make the cinnamon for dessert tonight! Over time i would like to try them all .I would start with just the sweetner and go from there. The first one I made yesterday tasted like I put way over a pinch of baking soda, very bitter, but tried it this morning with less, added some finely shredded cheese and i think it helped. I cut it in half and toasted it in a skillet to brown with a little butter and it was enjoyable. I had one plain and sprinkled cinnamon and a little Swerve on the other one and it was very good. I’m happy I tried it again. I would try cinnamon, been craving it a lot lately!! Could you use almond flour instead of the coconut flour? I would do the cinnamon flavour first, with butter and cream. And I would also start experimenting, adding fried bacon and cheese, flavouring with lard…. I will try the nut muffin first and then the cheese. Thanks! could you add a bit o cocoa powder and sweetener for ‘choclaty’ muffin flawour? You could, but because you are adding more dry matter (cocoa powder) you may need to add a little extra liquid such as cream otherwise it may turn out rock solid. Cinnamon! But what about a chocolate one? Maybe cacao powder and sweetener? The cheesy ones for sure. I’ll think I try the cheesy one first… or maybe cinnamon… or.. Spinach and feta sounds like a great plan! i would deffo have cheese, with cheese and more cheese! thanks for the recipe! I’m going to make these today with my kids! I’ll start with the basic recipe and then try the cinnamon and sweetener option! Seriously, how do I choose between sweet cinnamon and savory cheese, chive and bacon?! Cheesy ones with finely diced chorizo! Cheese sounds good for the savoury version. Of course some red fruits might be nice for a sweet version – why not one of each?!!!!! Mmm, looks gorgeous – I think I might try it plain first like a scone, with butter and low carb jam! I also love the idea of using it like dumplings in a stew – I miss stew and dumplings! So I actually made a cheese one first for lunch – just grated Cheddar as that’s what I had – with butter on top. It felt very squishy when it came out of the microwave, but it tasted absolutely yummy! Definitely going to be a recurrent work-day lunch for me – probably the fastest lunch I can think of these days!!! Sausage/Chorizo, sun-dried tomato, cheese and thyme! Coconut flour is hard to come by where I am, is dessicated coconut the same thing? I could try “dry” it out in an oven? Sorry, they are completely different. You may wish to read my Ultimate Guide To Low Carb Flours. It explains each flour and the properties they have. The kids are mad for donuts, so I will try that first! Every recipe conversion that the kids love is a win for a healthier family lifestyle! would it also be possible to make with almond meal instead of coconut? Nut butter. Nom nom nom! All sound great, the cheesy one. But first I will make this with caraway seeds! Was about to make a bread recipe from The Big Man’s World but will do this first – looks great – only problem I might raise and it is not a problem for me but a Paleo Tribe Plan I joined refuse to use the microwave – I love the convenience – do you have any thoughts on this dear Libby ? My personal choice is to use the microwave for simple reheats and small dishes like this. 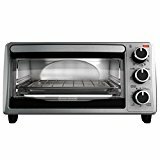 The myth is that microwaves denatures food, but no more than regular heating does. There is no loss of nutrients, again, no more than heat cooking would remove them. It is a personal choice however, so I try to give an alternative to the microwave. If I were to demonise the microwave, I would also turn away some families who are living on microwave meals and do virtually no home cooking. It’s those who I most want to help transition back to home cooking. Great question Vicki. I think I’d try a blue cheese like stilton with lashings of butter. I can’t decide. It is between cinnamon & cheesy. I think I’ll make both. My wife & I can then have half each. The spinach and feta sound fantastic but I’d also like the cheese keto muffin as well. Cheesy! then maybe add some butter after because why not hahha they sound delicious! Definitely cheesy. We love cheese!! I think I’d try them plain first, warm with lots of butter. Then I’d try Spinach and Feta. Yum! Honestly, ALL of them! I’ve been doing spinach feta egg muffins lately but I think the cinnamon might be my first one. I love pumpkin spice everything so I will probably add a dash of that seasoning to the muffin mix. I’m also a big cheese lover so you know that will come in one day. These will be lovely in the morning with a cup of coffee! My mum has been craving scones so I am going to surprise her with a sweet version (natvia) with cream and chia jam. Thank you for this recipe Libby. Cheese and chives all the way for me!! Yum! I think a savoury one with cheese and chives would be delicious! These sound just the ticket, will have to buy a ramekin when I go shopping tomorrow and then I am going to try the Cinnamon version. What could I use instead of coconut flour, almond flour maybe? If so would I use the same amount as coconut flour? Almond flour works completely different to coconut flour. You may want to read my Ultimate Guide To Low-Carb Flours which explains these new flours. I started low-carb baking by using almond meal (ground almonds) or coconut flour recipes. They are not interchangeable so this article on low-carb flours may help you get to grips with them both. Low-carb baking is wonderful, but eventually it should be occasional use as we are trying to get rid of our sweet tooth. Saying that, we all want something as a treat every now and again and I’d rather reach for a home made low-carb one than a sugar and carb disaster. Enjoy your baking. Choices, choices …….. The Cheese and chive first with my breakfast, then the Nutty first for my tea . . . .
Parmesan, oregano, basil and crispy bacon pieces. Definitely the cinnamon. No, wait. Definitely the cheesy. No, no. The nutty. No. It’s the cinnamon. Definitely. I would make the cinnamon muffins first. Yum. Can’t wait to try it. I will make the nutty one first. I’m going to try jalapeno with cheddar cheese. I would try the cheese muffins first. I love cheese. Maybe eat it with speghetti squash pepperoni pizza. Yum!!!! I’m trying the cinnamon 1 minute muffin tomorrow! With lots of butter! I’d totally make spinach and feta first! So going to try the cheesy chive muffins first! I’d love to try the cheesy version. I might make a few this weekend for a quick breakfast through next week. Would love to try the cheesy kind (cheese on everything in my book!) I don’t have ramekins though, could I just cook it in a mug? I want to try this recipe, but none of us are a fan of coconut flour. I know that moisture/flour ratio would be different if substituting with almond flour. Would you or anyone here have a good idea how many grams of almond flour to use instead of coconut flour? I would make the nut butter one. Yes only 1g net carbs. The fibre and carbs are from the coconut flour, eggs are almost negligible. Hi, I made this today and it was yummy with my egg & cheese for breakfast. It came out funny looking and smaller so maybe my ‘pinch’ of baking soda wasnt big enough? I would love to see a chocolate version. I tried making my own by adding 2tsp baking cocoa powder, 1 tbsp of natural peanut butter, and some stevia powder. It produced a beautiful peaked large muffin but wasnt sweet enough and was kinda dry. What do you think I could do to fix it? Do you think erythritol would be better to retain sweetness and add moisture or????? If you are adding extra dry ingredients such as cocoa, it will make it dry so maybe experiment making it with 2 eggs. I make these muffins ZERO CARB by using oat fiber (NOT oat bran) instead of coconut flour. To die for… and zero carb to boot!! You can’t much better than that. Pick up so oat fiber at netrition.com and whip up some carb free muffins! 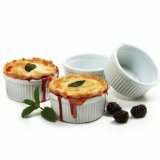 Please, what size/diameter ramekin is used here? I’m looking forward to trying these. Thank you. I think the cheese and chive variation sounds delicious. Going to give it a try at lunchtime today. I think I would make a buttery cinnamon version first! Although a savory cheese one is also calling me! I’d try the cinnamon first! Hiya Terri, nice to hear from you. I have been fine, I just feel like January has been a blur. I hope you like these, they are superb and so adaptable. Yesterday I added a little sweetener to the mix, then spread them with butter once cooked and sprinkled on a little sweetener and cinnamon – oh my! My kids loved them!!! Made me happy! I just sat back and watched morning talk shows while they cooked. Ha! So the recipe has an unintended consequence – mum time. Love it Teri. They all sound delicious! I’d probably choose the cheesy one. Yum! Cinnamon – sweetness and goodness. Basil pesto and fetta for me!! Hello! Omg everything sounds so good. But since I have a sweet tooth, I would like to make one minute sweet keto muffin! Thanks for the recipes! I would make the cinnamon flavor first ascI am so missing cinnamon coffee cake! I’m thinking savoury with cheese!